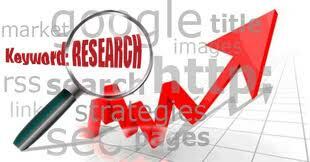 Effective and correct research about the matter is the base of a well implemented SEO strategy. Besides, the fact is not hidden as to how Google wants to deliver the most relevant content to its users. So what you need to learn here about is this relevance that what does it mean and how can you apply it to not just your content but also to your website’s entire keyword strategy. For your business to boo high you need many things and when it comes to SEO you need to learn several things to get best out of what you are putting in. To attract interest, links and rank higher you need to know what keywords, offers and best content is going to be useful and result oriented for your niche market. Let’s go ahead and learn about a few tips that will let you know how proper research can drive your SEO efforts in the right direction. The first thing that you need to research is the keywords as to which of them are being searched mostly in your particular website niche. It will not only help you to figure out which words or phrases to include in your on-page text but also helps you know as to what specific topics, content, and issues your reader base is interested in. For doing a keyword research you can use many online tools that are available such as the Google Adwords keyword tool however if you are looking for more professional series of investigative tools, you can go ahead and buy memberships with websites like wordtracker.com. 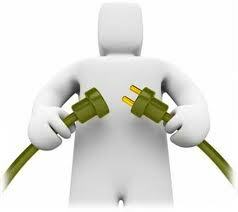 It will help you to look at the top searches and the kind of competition you have for that keyword. Well! As far as competition is concerned Google also let you know about it. Make sure you build a list of important keywords for your general niche and set it off with a list of long tail keywords, which are seldom searched but the it will give you less competitive long term search results. Ensure that all of these words that you have included in your keywords must be included in your content at some point. Now when you have the researched roster of the keywords, you can move on with content creation. Your content has the freedom to include anything be it text, videos, images, info-graphics and even audio files till the time you have included text description or HTML with concise description and contextualized keyword with the non-text content. Besides, the content that you have developed based on the research that you have done on keywords and based on the information of your niche, should cover the information that your reader needs. Apart from this, you should also try covering the subjects in your content that your competitors have not yet covered properly. This is the way you can gain respect in the eyes of visitors and of course Google will give you much weight-age. The next thing while heading towards the long term SEO optimization is to know where your potential sources of organic backlinks will be. 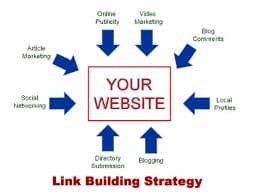 The good aspect of link building is to get shared by other esteemed websites because the information that you are delivering is related to their content and fits with their own on-page information. 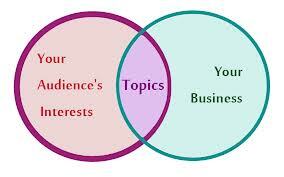 Besides, you can also build links by guest posting on high quality blogs. You need to know about the websites you are going to post content to in order to create the related content meant for that site and can include your backlinks in them that will have a path to your own site’s relevant pages and in doing so progressively build part of your quality backlink profile. It might seem like a lot of work but then it is very important for an actual and stable SEO success. The final step that you need to take is to implement the above discussed researches for you to create a highly effective and a very tactical optimization strategy in order to witness much more precise results. It in time leads to much better conversion rates by ultimately leading to a constant growth in both page rank and the number of visitors. The basic idea is that you should deliver value to your reader by providing them with useful information through your fresh and immaculate content. It will for sure bestow you with the greatest fan growth over the long run. This is how you can drive your SEO strategy using research. Hence, keep researching and optimize your SEO campaigns in the best possible way to exhibit a better conversion rate and a better return on investment.